Dr. David Thompson | Launceston Then! David was born the youngest of four children to David and Ann Thompson (nee Male)on the 24th of May 1832 at Hurdon, Launceston. His father was a Farmer and a former mayor of Launceston (1848) having been elected to the town council after an appeal in 1838. David made an early start in medicine having completed his formal studies in Scotland and at the age of 22 in 1854 he received the diploma of the Royal College of Surgeons of Edinburgh. In the following year he became L.S.A.Lond., And later in his life he took the L.R.C.S.Edin. In 1856 he returned to Launceston and married Elizabeth Fookes daughter of the Rev. William Fookes of Liskeard, setting up home at New road, Launceston. In 1857 their first child, Mary E. Was born followed two years later by a son, William Fookes. Another daughter Margaret came along in 1860. By 1871 the family are living in Southgate street by the Surgery (below) having established himself as a medical practitioner soon after his return to Launceston. In 1860 he became Honorary Surgeon to the Launceston Volunteer Battalion of the Duke of Cornwall’s Light Infantry. His connection to the Battalion had begun before this appointment and continued until, having risen to the rank of Brigade-Surgeon-Lieutenant-Colonel, and having received the volunteer decoration, it became necessary for him to retire. In 1865 he was chosen by his colleagues as President of the South-Western branch of the British Medical Association, which was quite an accomplishment considering that he was such a young practitioner. In politics he was a Liberal and took a keen interest in the running of the town and it was no surprise when he was elected to the town council in 1863 being elected an Alderman in recognition of his services to the municipal affairs of the locality in 1875. 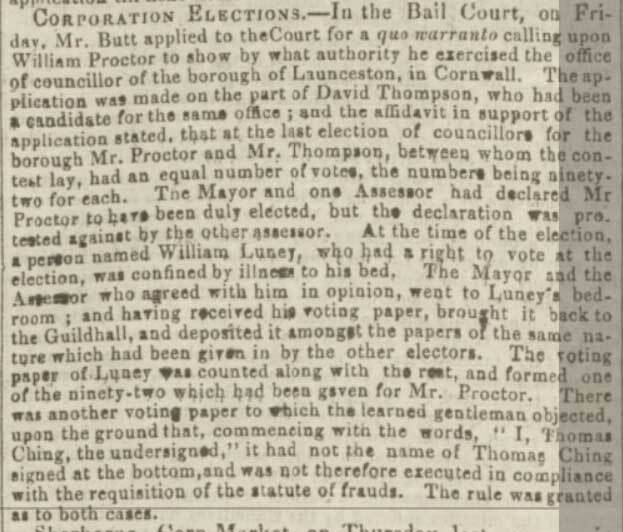 In 1877 David emulated his father in being elected mayor of Launceston, a role that he reprised in 1887. In 1889 he resigned the position of Alderman to succeed Mr. George Graham White as the districts Coroner a duty he performed right up to his death even though he had experienced a severe illness during the 1890’s. During his tenure as Coroner he had secured a his son William as his deputy. 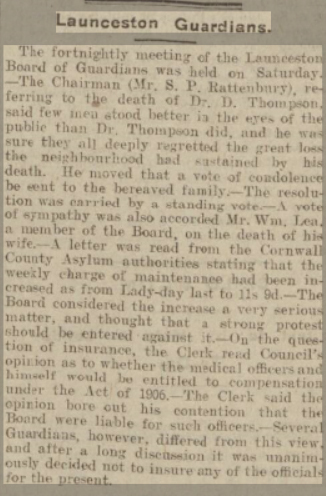 He was also a Justice of the Peace for both the Launceston borough and Cornwall County a role a served up to his death and was regarded as a fair and clear minded representative of justice. 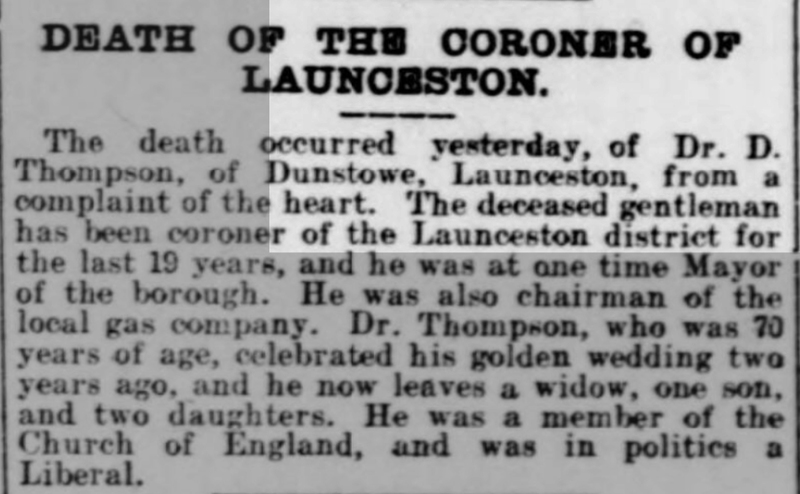 He was a member of the Dunheved Lodge of Freemasons, being a past master, chairman of the board of Launceston Gas company and also served upon Launceston’s board of Guardians. He was a well respected member of the community and he worked hard for the interests of Cornwall and his home town. Even after he had relinquished his medical position to his son William and his partner at a comparatively early date he continued to administer informal medical advice to the poor. He was a lover of the outdoor life and always encouraged the younger generation to adopt sporting activities especially football of which was gaining popularity. 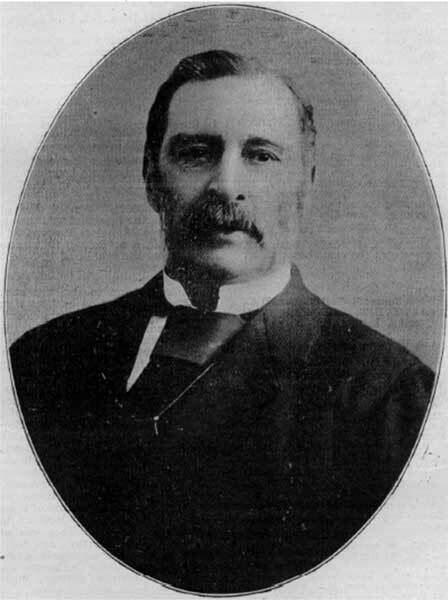 He was made president of Launceston Football Club in 1904. He and Elizabeth celebrated their golden wedding anniversary in 1906. He died at the age of 76 of an heart attack on the 27th of May 1908. The funeral service was held at St. Thomas Church and he was interred in the churchyard.